He dwells in Eden the old homeland. Our Holy Father Alexander, according to Saint Irenaeus of Lyons, was the fifth Bishop of Rome, though if you include the Apostle Peter as the first Bishop of Rome, he was the sixth. He served as Bishop of Rome from c. 107 to c. 115. The introduction of the customs of using blessed water mixed with salt for the purification of Christian homes from evil influences, as well as that of mixing water with the sacramental wine, are attributed to Pope Alexander I. Some scholars consider these attributions unlikely. It is certainly possible, however, that Alexander played an important part in the early development of the Church of Rome's emerging liturgical and administrative traditions. A later tradition holds that Alexander I converted the Roman governor Hermes by miraculous means, together with his entire household of 1,500 people. In the Acts of Saints Alexander and Balbina, Saint Quirinus of Neuss, who was Alexander's jailer, and Quirinus' daughter Saint Balbina were also among his converts; some believe this refers to another Alexander however. Saint Alexander is said to have been martyred by the sword during the reign of either Emperors Trajan or Hadrian, though this is doubted by some as there is no historical record of his martyrdom. Eusebius specifically mentions in his Ecclesiastical History (4.4.1): "In the third year of [Emperor Hadrian], Alexander, bishop of Rome, died after holding office ten years." 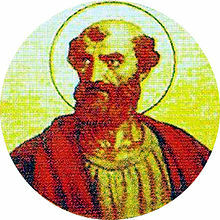 This would place his death in AD 120, and his elevation to the Papacy in AD 110. The remains of Saint Alexander are said to have been transferred to Freising in Bavaria, Germany in AD 834.